This document (together with the documents mentioned herein) establishes the conditions governing the use of this website and purchasing products in the same (here in after the “Conditions”). Please read the Terms carefully before using this website. By using this website or placing an order through it, you agree to be bound by these Terms, so is if don’t you agree with all conditions must not use this website. These conditions can be modified. It is your responsibility to read them periodically, as the conditions prevailing at the time of use of the website or conclusion of the contract (as this is defined below) will be those that will be applicable. The Contract (as it is defined below) may be formalized, at its option, in any of the languages in which the Conditions are available on this website. The items offered through this website are only available for shipment to the territories for which shipping methods are available and in which CBD is legal. The information contained in these Conditions and the details contained in this website does not constitute an offer to sell, but an invitation to create a contract. There will be no contract between us regarding any product until we have accepted your order. If your offer is not accepted, but your account has already been charged, the amount thereof will be refunded in full. To order, you must follow the online purchasing procedure and click “Checkout”. After this, you will receive a receipt via email acknowledging your order (the “Order Confirmation”). Note that this does not mean that your order has been accepted, since this is only you requesting to buy one or more of our products. All orders are subject to acceptance, you will be informed by email if the order has been confirmed and the products are being shipped (the “Order Confirmation”). The contract for the purchase of a product between us (the “Contract”) will only be created when we send you the Delivery Confirmation. Only the products listed in the order confirmation will come under the terms of our contract. We are not obliged to supply any product that might have been ordered until we confirm the shipment in a Confirmation message. All orders for products are subject to availability. If difficulties arise in the supply of products or if there are no items in stock, we reserve the right to provide you with information about substitute products of equal or superior quality and equal. If you do not wish to order such substitute products, we will refund any amount that you would have paid. We reserve the right to withdraw any products from this website at any time and to remove or modify any material or content on the website. Although we will always do our best to process all orders, exceptional circumstances can arise which may require us to refuse to process an order after having sent the Order Confirmation, we reserve the right to do this at any time, at our sole discretion. We will not be liable to you or to any third party for the withdrawal of any product from this website, regardless of whether the product has been sold or not. We will not be liable for removing or modifying any material or content on the website or for refusing to process an order once we have sent you the order Confirmation. Regarding the availability of products and unless there are extraordinary circumstances, we will try to send the correct products listed in the delivery confirmation prior to the deliver, if no delivery date is specified then the products should arrive within 15days of the Order Confirmation. If for some reason we can not meet the delivery date, we will inform you as soon as possible and give you the option to go ahead with the purchase, establishing a new delivery date or cancel the order with full refund of the price paid. Please note however that we do not deliver on Saturdays or Sundays. If after two attempts we prove to be unable to deliver your order, we will try to find a safe place to leave it. A note will be left indicating where your order is and how to pick it up. If you are not in the place of delivery of the order at the appointed time, please contact us to arrange the delivery on another day. In any case, to pick up your order, you have a period of 30 days from the date following the procedure established in these conditions. If after this period, you have not picked up your order, we will assume you want to cancel the Contract. As a result of this termination, we will refund the price paid for the products within a maximum period of 30 days from the date that the provisions of this clause considered the contract terminated. From the moment of delivery, the products become your responsibility. You will acquire ownership of the products when we receive the full payment, including shipping costs and any extra costs that might arise or when the item is delivered (as stated in the previous clause), depending on which takes place at a later time. The price of each product will be stipulated at all times on our website, except in case of a manifest error. Although we try to ensure that all prices listed on the website are accurate, errors may occur. If we discover an error in the price of any of the products you have ordered, we will inform you as soon as possible and give you the option of reconfirming your order at the correct price or canceling it. If we are unable to contact you, the order will be canceled and you will receive a full refund of what has been previously paid. We are not obliged to supply any product at the incorrect lower price (even if we have sent the Order Confirmation) even if the pricing error is obvious and unmistakable and could have reasonably recognized by you as incorrect price. Prices on this site include VAT unless otherwise indicated on the product page, however prices exclude shipping costs. Shipping costs may vary depending on the delivery method and will be added to the total amount. Prices may change at any time, but (except as set out above) changes will not affect the orders that a Confirmation has already been sent to. 1. Click on the “Cart” button at the top of the page. 2. Click on “Place Order”. 3. Fill in or check your contact information, the details of your order, the address to which you would like the order to be sent and the billing address. 4. Enter your card information or select ‘another payment method’ and follow the steps. 5. Click on ‘finalize payment’. In accordance with Article 68 of Law 37/1992 of 28 December, Value Added Tax, the delivery of the items will be understood as located in the territory of application of the Spanish VAT only if the delivery address is in Spanish territory (excluding the Canary Islands, Ceuta and Melilla). The VAT that will applied will be the rate that is legally valid at the time, depending on the particular item in question. For deliveries to the Canary Islands, Ceuta and Melilla, deliveries will be exempt from paying VAT by application of the corresponding taxes and tariffs in accordance with current legislation in these territories. Under the applicable legislation, if you are contracting as a consumer, you may withdraw from the Contract (except where the subject matter of the Agreement is any of the products for which the right of withdrawal in the following COMMON PROVISIONS Clause is excluded) in any time within 7 working days from the estimated delivery date of your order. In this case, we will refund the price paid for such products. You will bear the direct costs of returning the product. You can prove your right of withdrawal in any manner permitted by law, being considered in any case considered validly exercised sad right by sending the withdrawal document we will provide you with or by returning the products. This provision does not affect other consumer rights recognized to the consumer by the current legislation. In addition to the legally recognized rights of consumers and users mentioned in the above clause of withdrawal, we grant a period of 14 days from the date of the Order Confirmation to return the products. In case of return, we will refund the price paid for the returned products. You will bear the direct costs of returning the product. You must exercise your right of withdrawal by sending the withdrawal document that we will provide you with or by returning the products. Your right to cancel the Contract shall apply exclusively to products that are returned in the same condition that you received them in. Please return the item using or including the original packaging. It should also include all instructions, documents and packaging products. You must deliver the product along with a receipt that you received at the time of the product delivery. Please not that there will be no refund if the product have been used beyond the mere opening of it, or if it has been damaged, so you should be careful with the products whilst they are in your possession. Contact us to arrange a return or exchange and we will indicate which procedure to follow. Please note that if you decide to return the goods via delivery we are entitled to charge you the expenses we incur. After examining the article you will know whether you are entitled to a refund of the amounts paid. The refund will be made as soon as possible and within 30 days from the date you informed us of your intention to withdraw. The refund will always be made in the payment means we deem most appropriate in each case. If you have any questions, you can contact us through our contact information listed at the top of this page. Where you believe that at the time of delivery the product does not comply with the terms of the contract, you must contact us immediately indicating product data and the damage suffered, from there we will tell you how to proceed. Once returned, we will carefully examine the returned product and will notify you by e-mail within a reasonable time, if any refund or replacement is available (if any). The refund or replacement item shall be sent as soon as possible within 30 days of the date on which we sent you an email confirming that you will receive a replacement item. The amounts paid for products that are returned because of some defect or defect when actually exists, will be refunded in full. The amounts paid for products that are returned due to a legitimate defect, will be refunded in full. Unless otherwise expressly provided in these Conditions, our liability in connection with any product purchased on our website is strictly limited to the purchase price of the product. Due to the open nature of this website and the possibility of errors in the storage and transmission of digital information, we do not guarantee the accuracy and security of the information transmitted or obtained through this website unless it is otherwise stated. All descriptions of the products, information and materials on the website are provided as a true representation with out any implied or expressed warranties. To the extent permitted by law, we exclude all guarantees, except those that can not be legitimately excluded from consumers and users. The provisions of this clause shall not affect your legal rights as a consumer, or your right to withdraw from the Contract. You acknowledge and agree that all copyright, trademark and other intellectual property rights in the materials or contents that are contributed as part of the website, correspond to us at all times or to those that have granted us a licence to use. You may use such material only in the manner expressly authorized by us or licensed to us. This will not prevent you from using this web page to the extent necessary to copy the information about your order or contact information. You should use this website improperly by the deliberate introduction of viruses, Trojans, worms, logic bombs or any other software or technologically damaging or harmful material. You will not try to have unauthorized access to this website, the server on that page is hosted, or any server, computer or database related to our website access. You agree not to attack this website through a denial-of-service attack or a distributed denial of service. Breach of this clause may entail the commission of offenses defined by applicable regulations. We will report any breach of these rules to the competent authorities and cooperate with them to discover the identity of the attacker. Also, in case of breach of this clause, the attacker shall cease to be authorized to use this website. We will not be responsible for any damage or loss resulting from a denial-of-service attack, viruses or any other software or technologically damaging or harmful material that may affect your computer, computer equipment, data or materials resulting from the use of this website or downloading contents thereof or the same redirect. Applicable laws require that some of the information or communications we send will be in writing. By using this website, you agree that most of these communications with us are electronic. We will contact you by email or provide you with information by posting notices on this website. For contractual purposes, you agree to this electronic means of communication and acknowledge that all contracts, notices, information and other communications that we send electronically comply with the legal written requirements. This condition does not affect your statutory rights. Notifications that you send us should preferably be sent to the email address specified at the beginning of this document. Under the provisions of clause COMMUNICATIONS BY above and unless otherwise stipulated written, we may send communications either by e-mail or to the postal address provided by you when placing an order. It will be understood that the notifications that have been correctly made will be received by the recipient 24 hours after an email has been sent, or three days after the date of posting a letter. In order to prove that the notification has been made, we will ensure: in the case of a letter, that it will be properly sealed and delivered to the correct address. In the case of an email, that it is sent to the correct email address specified by the recipient. The Contract bind both you and us, as well as our and our respective successors and assignees. You may not transfer, assign, encumber or otherwise dispose of a Contract or any the rights or obligations arising from it, without our prior written consent. We may transfer, assign, charge, sub-contract or otherwise dispose of a Contract or any of the rights or obligations arising from it, in our favor or for us, at any time during the term of the Contract. To avoid any doubt, said transmissions, assignments, encumbrances or other transfers will not affect the rights, if any, you have as a consumer recognized by law or cancel, reduce or limit in any way the warranties either expressly or implied, that we could have granted. We will not be liable for any failure or delay in fulfilling any of our obligations under a contract of whose events are outside our reasonable ( “Force Majeure”) control. 2. Civil commotion, riot, invasion, terrorist attack or terrorist threat, war (declared or not) or threat or preparation for war. 4. Impossibility to use trains, ships, aircraft, motor transport or other means of public or private transport. 5. Inability to use public or private telecommunication systems. 7. Strike, failure or accidents maritime or river transport, postal or any other type of transportation. You understand that our obligations under the Contract will be suspended during the period that the Force Majeure Event is going on, and we will have an extension on the deadline to comply with these obligations for the period of time equal to the duration of the Force Majeure. We will use reasonable means to end the Force Majeure or to find a solution that allows us to fulfill our obligations under the Contract despite the Force Majeure. Failure by us to comply strictly with your part of any of the obligations assumed by you: in a contract or these terms, the rights and actions may be corresponded to us under such agreement of these conditions, but they shall not give rise to any waiver or limitation in relation to such rights or actions nor will it exempt you from complying with such obligations. No waiver by us of a specific right or action will constitute a waiver of other rights or actions arising from the Contract or the Conditions. No waiver from us of any of the present Conditions or to rights and actions derived from the Contract will take effect, unless it is expressly stated that it is a waiver which will formalized and sent to you in accordance with the provisions of the ‘Section of Notifications’ above. If any of these Conditions or any provision of a contract are declared null and void by a final decision by the competent authority, the remaining terms and conditions shall remain in effect without being affected by the declaration of nullity. These Terms and any document expressly referred to in them represent the entire agreement between you and us in relation to the subject matter of the Contract and supersede any other agreement, arrangement or earlier promise agreed between you and us verbally or written. Both you and us acknowledge that you have consented to the execution of the contract without having relied on any statement or promise made by the other party or that could be inferred from any statement or writing in the negotiations between the two prior to this Contract, except that which is explicitly mentioned in these Conditions. Neither you nor us will have action against any untrue statement made by the other party, verbally or in writing, prior to the date of the Contract (unless an untrue statement has been made fraudulently) and the only action available to the other part will be for a breach in the contract in accordance with the provisions of these conditions. You will be subject to the policies and Conditions in force at the time when using this site or when ordering products, unless we must make changes to the policies as requested by law or governmental bodies, the new Terms or Privacy Statement which has been altered will apply to orders that you have previously made. The use of our website and product purchase contracts through said website shall be governed by Spanish law. Any disputes arising out of or relating to the use of the website or these contracts will be subject to the non-exclusive jurisdiction of Spanish courts. If you are contracting as a consumer, nothing in this clause shall affect the rights recognized as such by current legislation. Your comments and suggestions are welcomed. 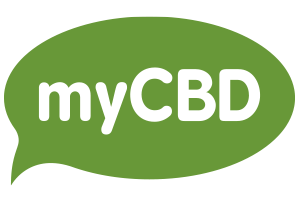 Please send all feedback and suggestions via e-mail to info (at) mycbd.com or by post to KSK Labs S.L. Gran de Gracia 15, 1 – 1st. 08012. Barcelona. Spain.